Indulge in the opulence of Bermuda’s most luxurious online roulette and experience richly rewarding entertainment! Give yourself the opportunity to win real money with spins of the wheel at Ruby Fortune! Powered by Microgaming, our sleek, modern casino brings you the king of casino games for the digital age. We’ve got an impressive collection of the most popular variations of the game that has delighted players for hundreds of years. Roulette is synonymous with the height of casino sophistication. Everything about it, from the uncluttered table layout to the smoothly-spinning wheel, gleams and shines with class. The beauty of the classic game is yours for enjoying at Ruby Fortune. Microgaming’s premium online roulette software means you can expect nothing less than immersive, high definition gaming. 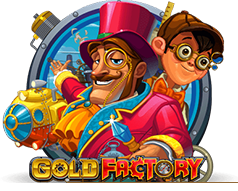 Experience the exhilaration of games that bring together sumptuous graphics, seamless animation, ambient sound effects, player-friendly design and fair results produced by a certified random number generator. Enjoy the superb gaming offered by online roulette by choosing either downloadable or instant-play games at Ruby Fortune. Whatever your choice, you will always be able to find a seat at our tables. Downloading the free software puts our entire collection of roulette games within easy reach. You will be able to access your favourite games at the touch of a button, and new games will be added to the collection as soon as we get them. You don’t need to download anything to enjoy instant roulette action. All it takes is logging on, signing in and finding the game you want to play. Every version of online roulette available at Ruby Fortune offers something unique and special. Some present more of a challenge than others, some use rules that see lost bets returned if certain conditions are fulfilled, and some give you the chance to use the game’s famous call-bets. You can even find live dealer versions of roulette in which you can interact with a real casino dealer via video streaming. Enjoying the shimmer and shine of online roulette at Ruby Fortune is one of the easiest things you could do. You certainly do have an incredible range of bets from which to choose, but when all is said and done, all you are really betting on is where the ball will land in the wheel. The wheel features pockets; each of which are coloured red, black, or green, and each of which is numbered. Click and drag your chips to the area on the table that corresponds with the bet you want to place, the click the Play button to spin the wheel. You’ll find out if you’re a winner as soon as the wheel stops spinning. Immerse yourself in Bermuda’s top online roulette games at Ruby Fortune now!